Home MMA What’s Next For Andrea Lee’s Husband in Louisiana Domestic Violence Case? What’s Next For Andrea Lee’s Husband in Louisiana Domestic Violence Case? 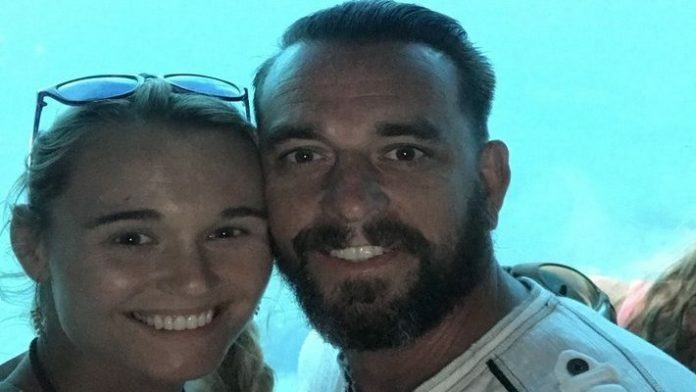 Earlier today, news broke that Donny Aaron, the husband of UFC fighter Andrea Lee, is being sought in connection with domestic violence allegations levied against Aaron by Lee. It is further being reported that an arrest warrant is to be issued for Aaron, thus starting the criminal process against him. So let’s explore this process and what this all means. Before we begin, criminal law varies state by state, and every state handles things differently. But in most violent criminal cases, domestic violence and otherwise, arrests take place at the scene of the occurrence or at some point shortly thereafter. That helps in many ways. Firstly, the potential to gather physical evidence is higher, because both parties are typically present at one point or another. But more importantly, an arrest that takes place at the scene takes place prior to the initiation of judicial proceedings (before the case goes to court). This means that, usually, the defendant’s right to counsel has not yet kicked in and it is possible that the police may be able to obtain some incriminating statement to use later in court. Police and prosecutors like that. In some cases, however, usually when the police have a hard time ascertaining the whereabouts of a defendant, they obtain an arrest warrant. An arrest warrant is obtained by a law enforcement official, who goes to a judge and affirms, under oath, that there is probable cause that a crime has occurred, thus necessitating an arrest. If/when the judge issues the warrant, the police have the right to arrest that defendant. As one can imagine, this is typically done when the defendant is tough to find. In this case, it seems that Aaron fled the scene of the occurrence, so that makes sense. For police, this could be a good thing and a bad thing. As mentioned earlier, incriminating statements (such as confessions) will be hard to admit in court now. On the other hand, flight may be used as evidence of guilt, so the case may have gotten stronger in that regard. But now, the case against Danny Aaron begins. One thing is for sure: Aaron’s upcoming fight in court may be tougher to overcome than any of his wife’s fights inside of the Octagon.